Your home’s doors act as a central, irreplaceable part of the property’s style, comfort, functionality, energy efficiency, and home security and when they’re damaged the need for skillful, prompt door repair Orlando, FL service is of the utmost importance as every day that this service is neglected increases the chance of a number effects ranging from increased utility bills and pest problems to safety concerns. 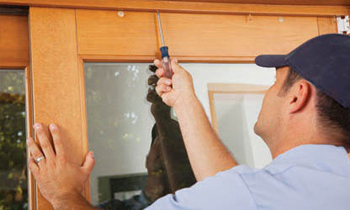 Here at Next Level Exteriors our specialized local Orlando door repair contractors are available for urgent and individually customized door repair Orlando, FL services from basic weatherstripping and crack repair services to pane window replacement in Orlando, FL and complete door removal and new Orlando door installation. Don’t allow your home’s doorways to lose their beauty, functionality, value, and strength. If you’re in need of door repairs in Orlando, FL, today’s the day to call your friendly and knowledgeable representatives here at Next Level Exteriors at (407) 326-2006. Call today to learn more about your particular service needs and schedule a free at-home consultation and estimate for a Orlando door repair specifically tailored to your home, your budget, and your style.